Indian consumers have mostly welcomed devices with bigger screens and long-lasting batteries. Perhaps that’s why phablets have become really popular as they offer a large screen real estate in a pocketable form factor. Add to it the fact that the bezel-less phenomenon has also ensured that the fascia of our phones is dominated by the display panel, and even phablet detractors can’t ignore these super-sized phones anymore. So if you’re looking for top phablets that you can buy without burning a hole in your pocket, read on to find our curated picks. Realme’s second device launched in August this year is a budget-friendly option worth considering. This handset comes with a 6.2-inch IPS LCD display protected by Gorilla Glass 3. 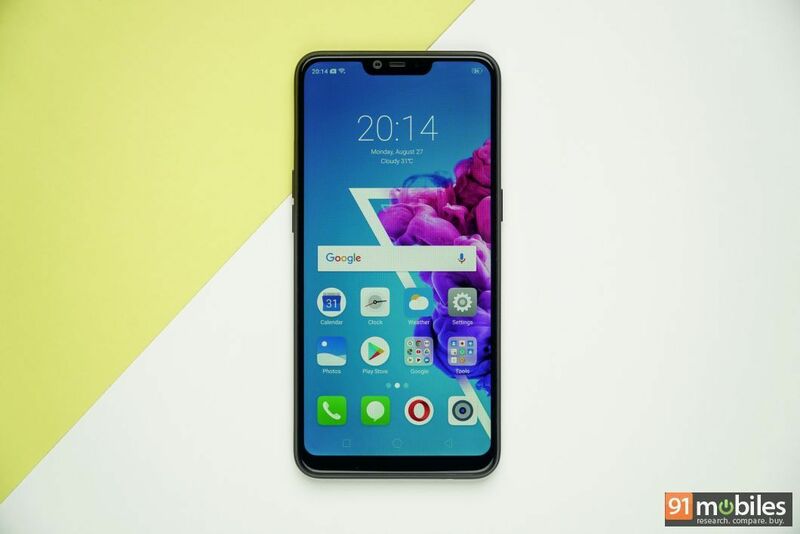 The smartphone comes powered by the Snapdragon 450 chipset under its hood and comes in two configurations of 3GB RAM and 32GB storage and 4GB RAM and 64GB memory. On the camera front, the Realme 2 gets dual rear cameras on the rear comprising 13MP + 2MP snappers and an 8MP selfie shooter. The phone is backed by a sizeable 4,230mAh battery. As far as the pricing is concerned, the phone’s base variant carries a sticker price of Rs 8,990. OPPO’s A3s can be a good option for those looking for a device with a good selfie camera and a big battery. The A3s comes equipped by Qualcomm’s Snapdragon 450 SoC and comes in only one variant with 2GB of RAM and 16GB of onboard storage. It has got a pair of rear cameras in the form of a 13MP primary shooter and a 2MP depth-sensing unit. For selfies, the device ships with an 8MP camera. The device packs a 6.2-inch display with a notch up top and has ditched the fingerprint sensor in favour of the face unlock. Besides, the smartphone packs a 4,230mAh battery. Infinix is quite a new contender in the Indian market but has gained consumers by launching devices that are not heavy on the pocket. The Hot S3X sports a 6.2-inch HD+ LCD display with a notch up top. Powering the handset is the Snapdragon 430 octa-core processor coupled with 3GB of RAM and 32GB of storage. In the imaging department, the S3X gets 13MP snapper accompanied by a 2MP shooter and a 16MP selfie camera. A 4000mAh battery provides the phone with the necessary juice. You can grab this smartphone at Rs 9,999 on Flipkart. TECNO’s Camon iClick was launched in May this year at a starting price of Rs 13,999, but is now available below Rs 10k, which helped it secure a spot in this list. This device comes with a 6-inch display and is powered by a strong 3,750mAh battery. Fuelling the phone is a 2GHz octa-core processor coupled with 4GB of RAM and 64GB of built-in storage. For imagery, the Camon iClick flaunts a 16MP rear camera and a 20MP shooter at the front. The E5 Plus is one of the very few devices in this segment to come with a powerful 5,000mAh battery. The smartphone comes with a 6-inch LCD display with HD+ resolution, and is protected by a layer of Corning’s Gorilla Glass. The E5 Plus utilises the Snapdragon 425 chip and comes with 3GB RAM and 32GB storage. The handset gets a 12MP shooter on the back and a 5MP selfie snapper. While the handset was launched at Rs 11,999, it’s now available to buy under Rs 10k. So there you have it. With these aforementioned options, we’re hopeful that you’d be able to find the perfect multimedia companion for yourself.